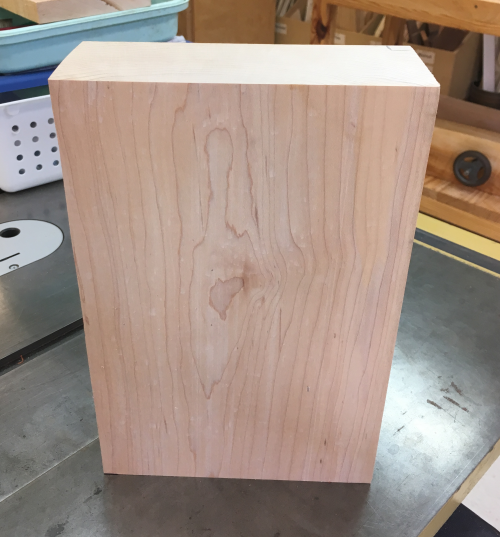 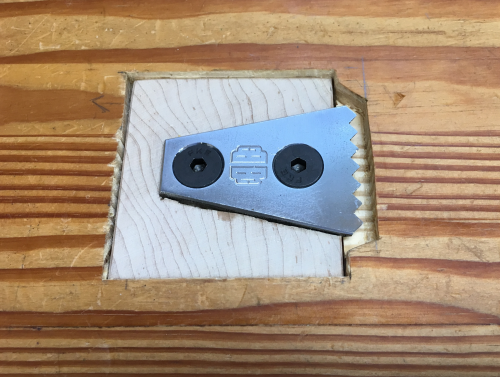 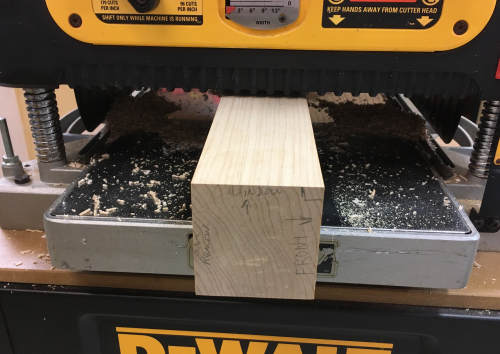 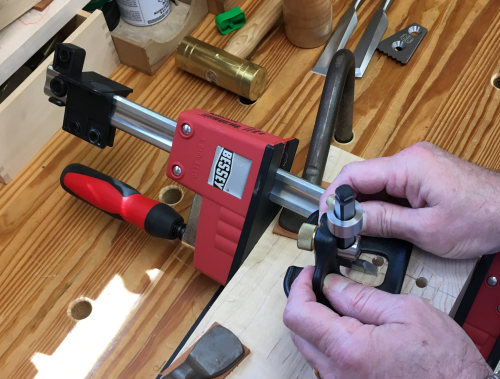 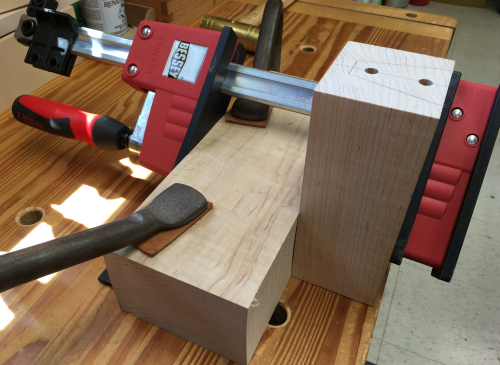 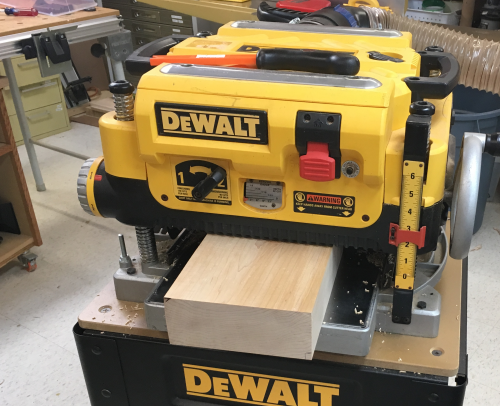 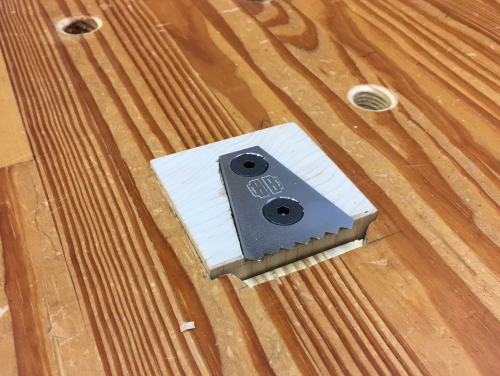 I purchased a planing stop to retrofit into my workbench. 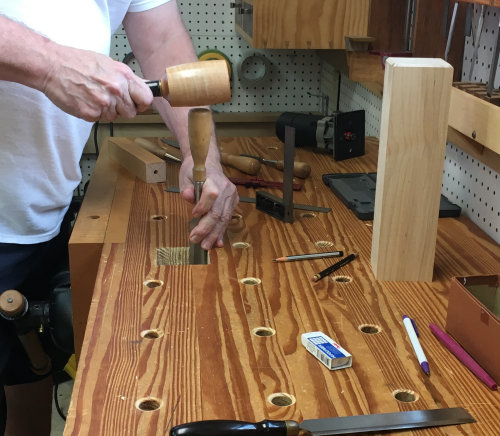 The stop is made by Benchcrafted. 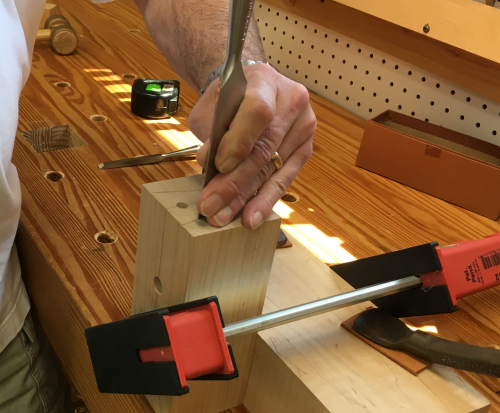 I have loved every product I have gotten from Benchcrafted...I have Krubber, the Skraper, the and the Paring Skraper...but it was the two Moxon vises that built with their hardware that made me a believer. 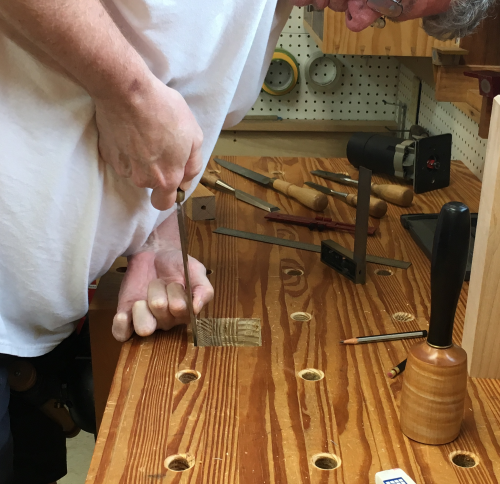 I also had the chance to meet Jameel Abraham at Handworks in Iowa. 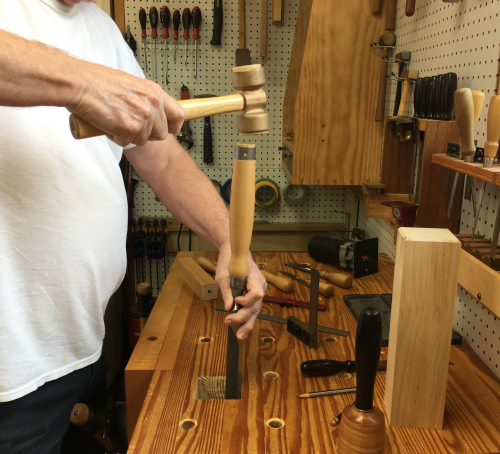 I think highly of Jameel, Handworks, his company and all of his products. 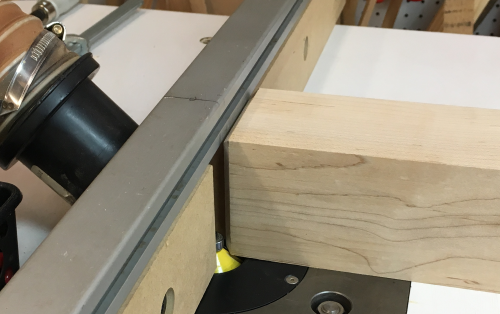 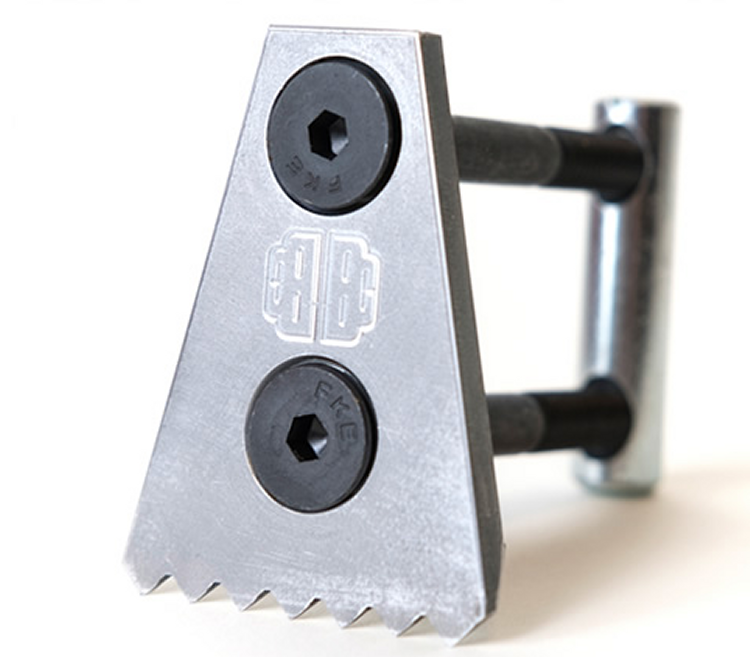 Example of the Benchrafted stop which can be raised for use and then lowered beneath the benchtop. 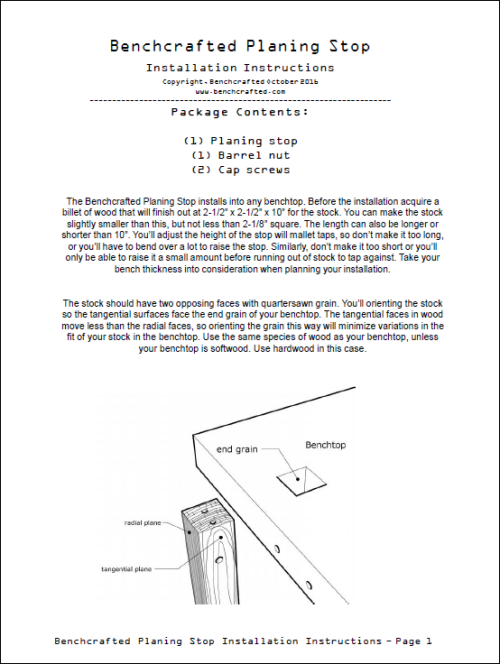 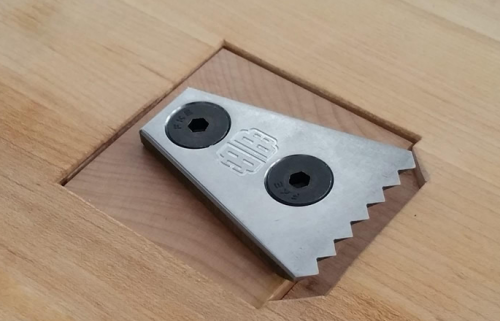 Benchcrafted PDF instructions for installation of the planing stop. 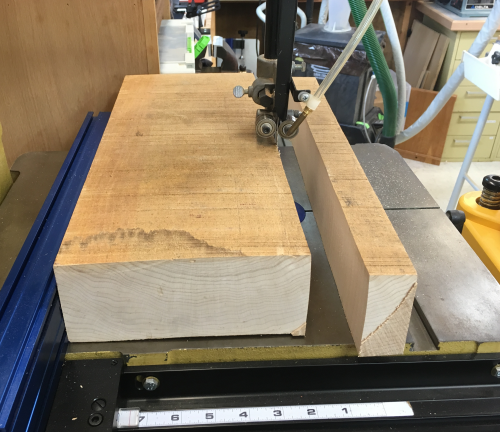 ...and had a large billet to work with...this will allow me to really check out the grain. 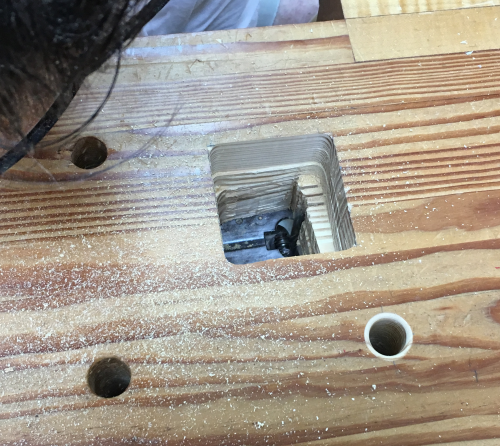 Layout...location near front edge, near the double vise...a hole designed to be 2 1/2 x 2 1/2 inches square. 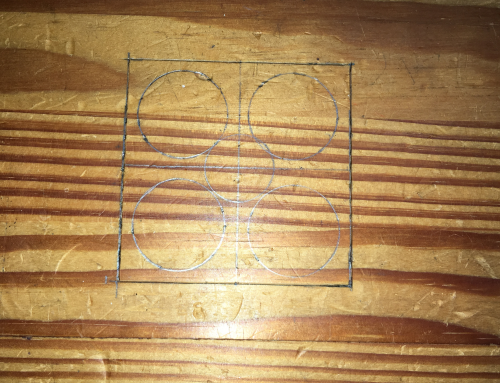 Laid out for one 3/4 inch hole and four 1 inch holes to hog out a lot of the material. 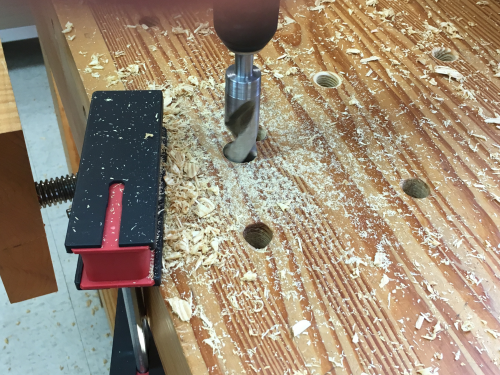 A drill bit pullout caused some spelching...so we realigned the hole...changing the size somewhat. 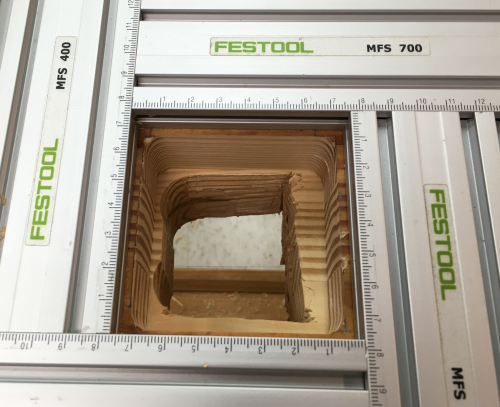 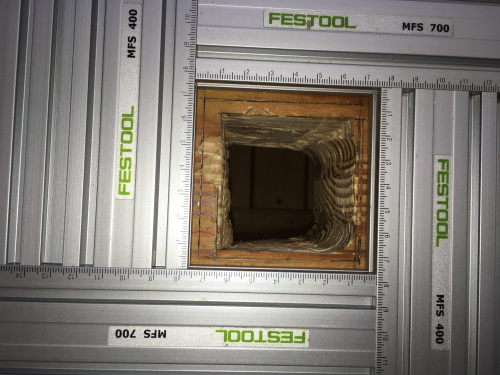 Used the Festool routing template to create a 77 mm template hole that would create a routed 70 mm square hole. 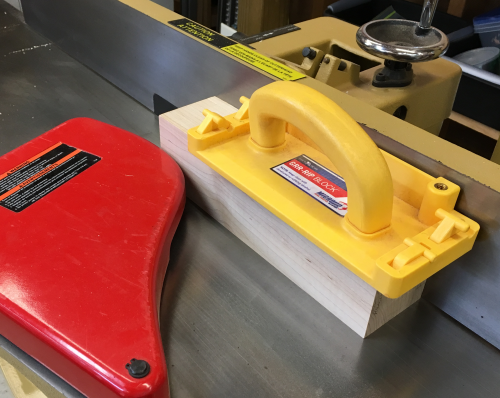 ...and finishing with Auriou rasps. 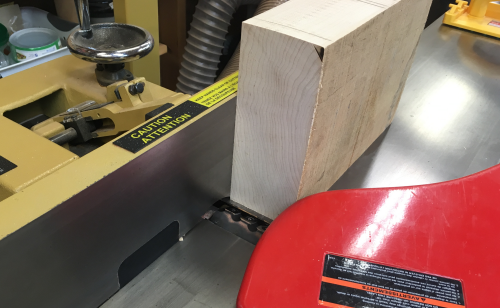 and sized at the planer. 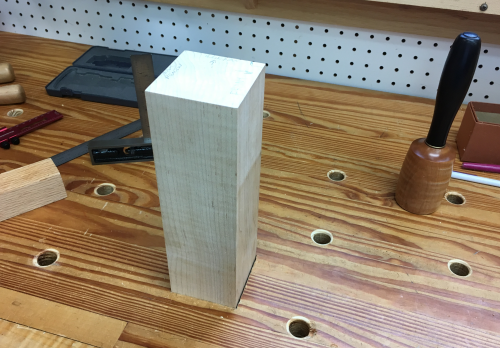 The bottom edges of the block were chamfered to prevent spelching. 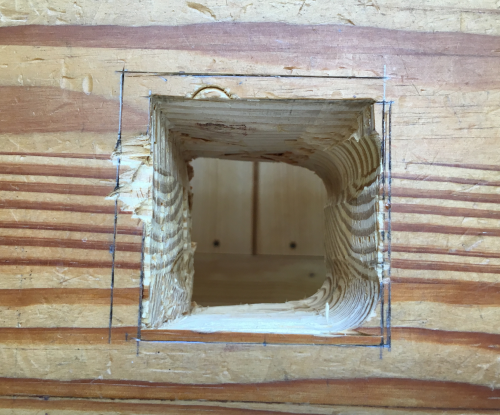 Test fit...then the walls of the hole were further worked to make for a good fit. 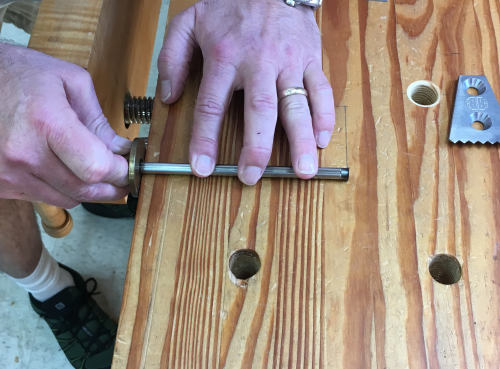 Billet needed a 1/2 inch horizontal hole to accept the threaded rod. 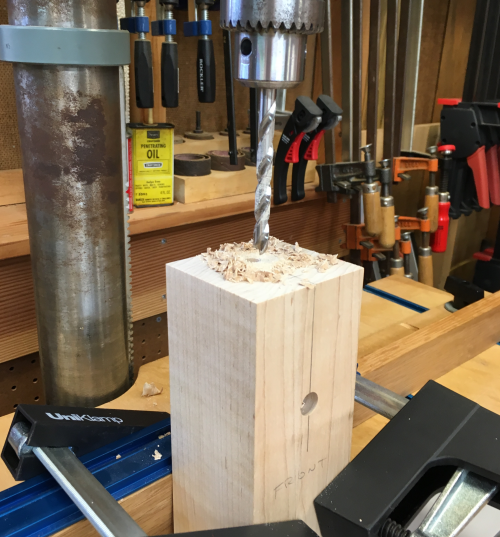 Done with a lipped HSS bit at the drill press. 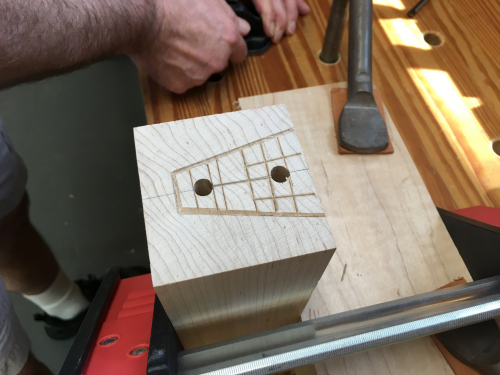 With the billet on end, two 5/16 holes had to be drilled to accept the bolts. 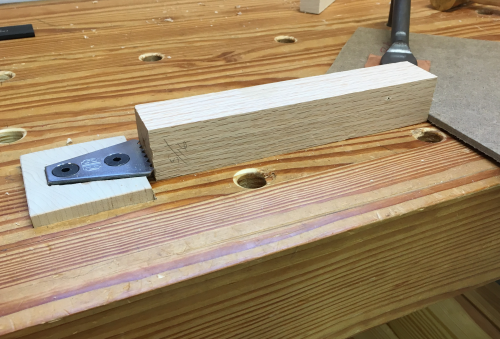 ...then that edge was beveled. 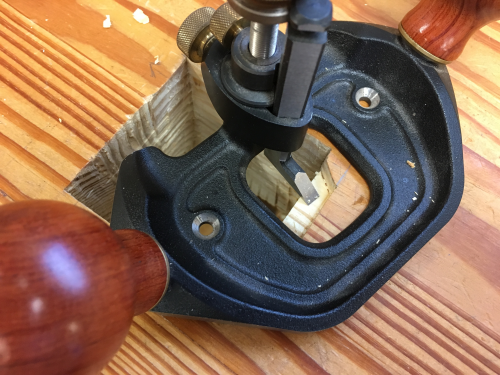 ...and a variety of router planes were used to acheive the depth. 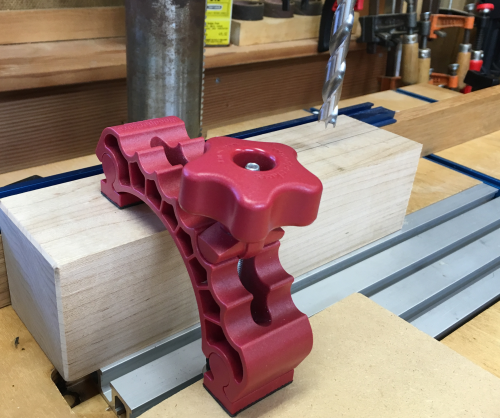 With the plane stop installed in the billet...a bench test. 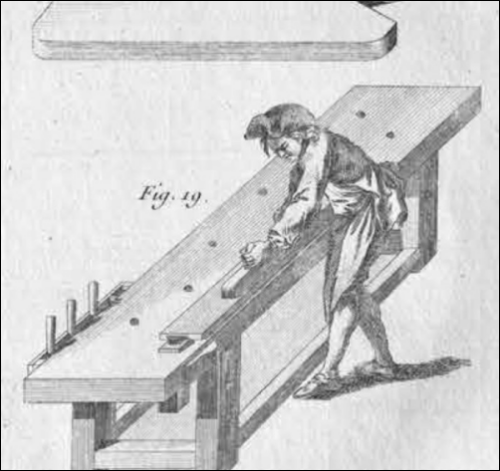 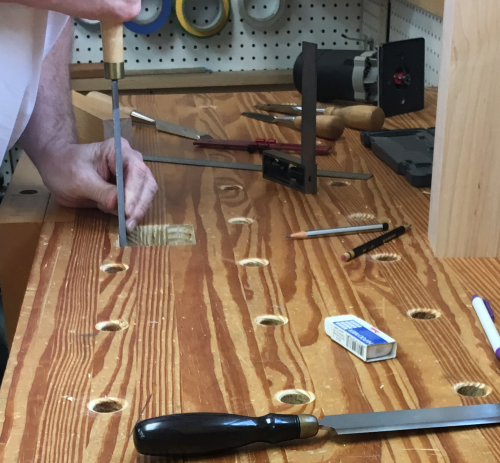 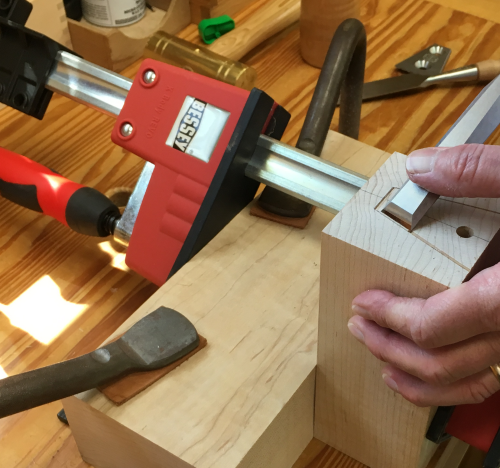 With chisels and a router plane an area was created to accept the front teeth edge of the plane stop and allow the entire unit to be be below the top of the bench.